Bhagwan Marine is a leading Marine Solutions provider operating in the Oil & Gas, Resources, Civil Construction, Marine Logistics and Defence industries. 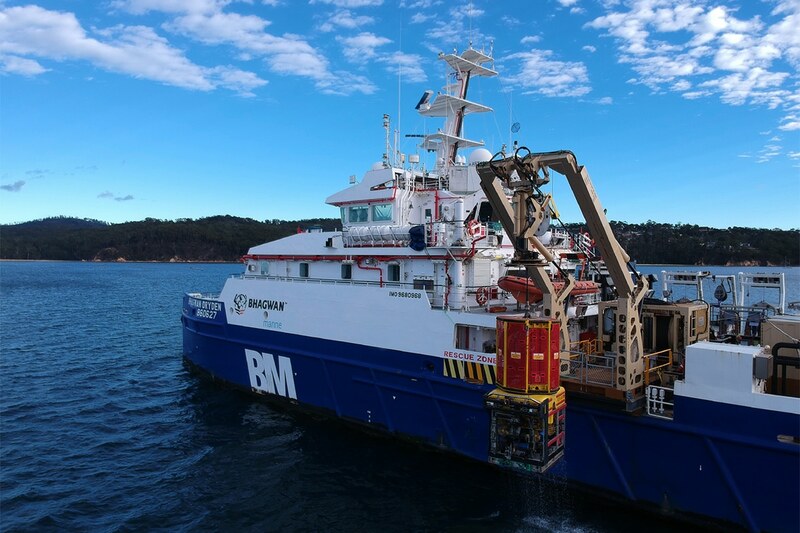 Bhagwan Marine were contracted by Chevron Australia to provide a vessel complete with a ROV, Survey Navigation, Project Management and Engineering services for an “In Water” Environmental survey. Bhagwan Marine provided Inspection Services to UPS from the DP2 DSV Bhagwan Dryden. 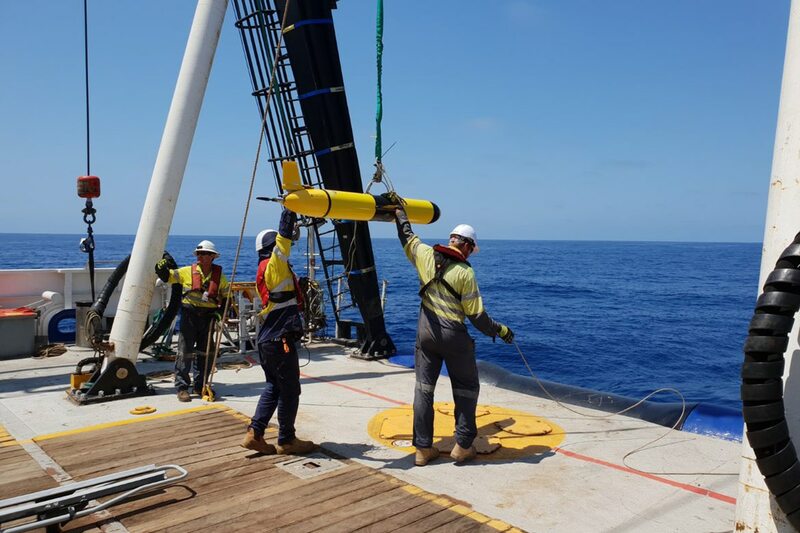 The work class ROV FCV600 was utilised to perform Close Visual Inspection (CVI) surveys of the mooring chain, suction anchors and landing frame. 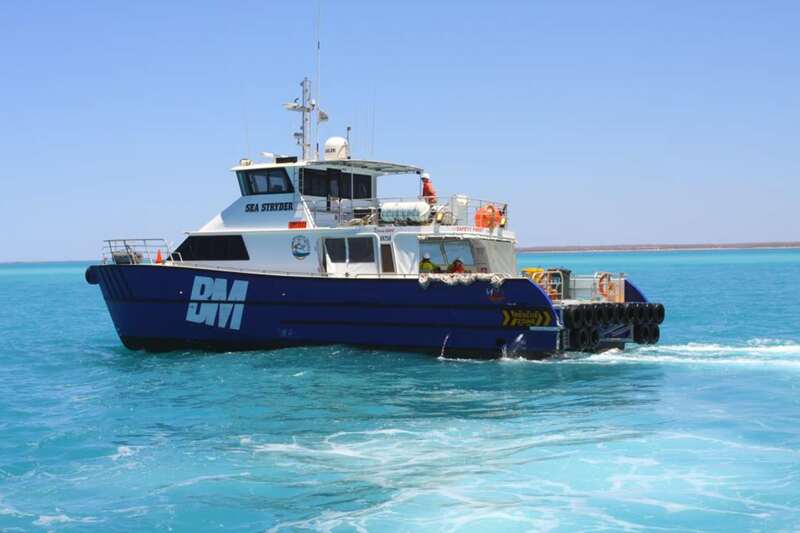 Bhagwan Marine’s fleet of nearshore vessels continue to provide a service to the Chevron Marine Operations Services for Thevenard Island, offshore NW Western Australia. Both Bhagwan’s Marine & Subsea service lines support Chevron for this service. 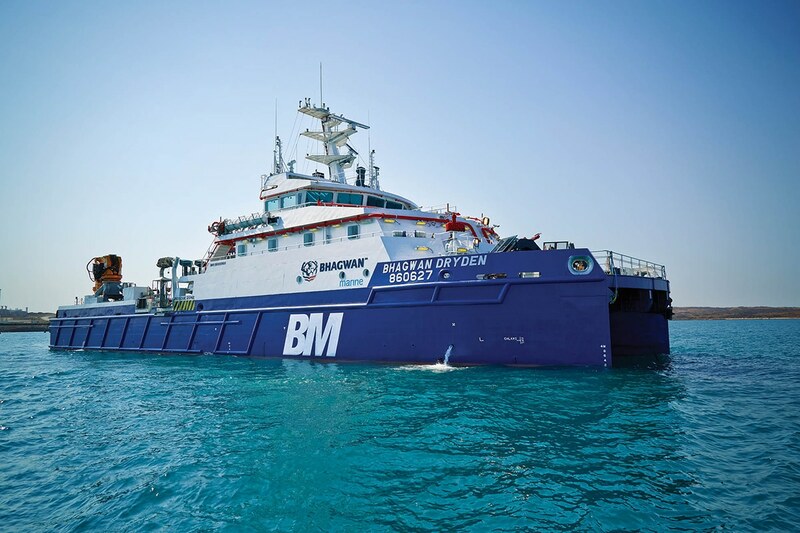 Bhagwan Marine has once again proved itself as one of the most dynamic brands in the industry, taking out the ‘Best Stand Award’ at the annual Australasian Oil and Gas Exhibition and Conference (AOG) in Perth. Bhagwan Marine is celebrating one of its most significant achievements in two decades of operation, with the award of the challenging and prestigious Port of Melbourne Marine Maintenance Contract.